Products that sell out of stock from the source market or do not satisfy your requirements such as handling time or Amazon Add-on items. 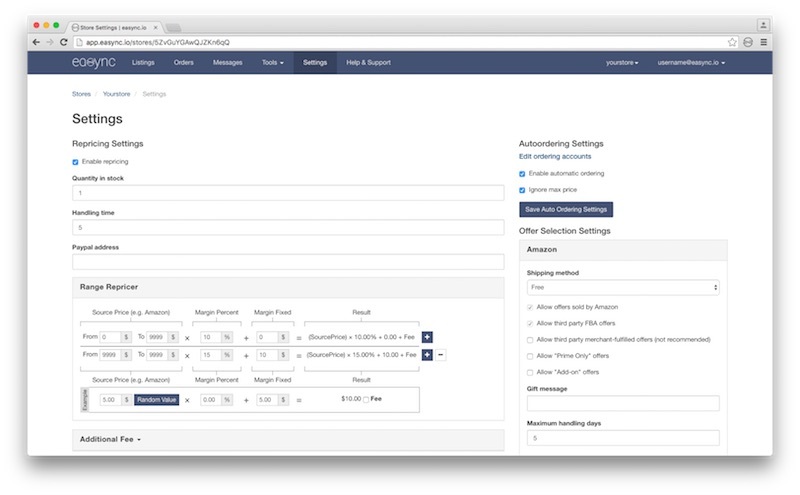 This tool allows you to manually set pricing and availability adjustments on individual listings. This page will list them for you so you don’t lose them in the future. This tool helps you find listings use the same ASIN for more than listing. EBay policy does not allow duplicate listings and will automatically delist them if they find them. This can lead to temporary suspensions on eBay if this occurs too often. This is only needed if you manually create your own listing for Easync to use. Our listing creator will prevent this from occurring in the first place. 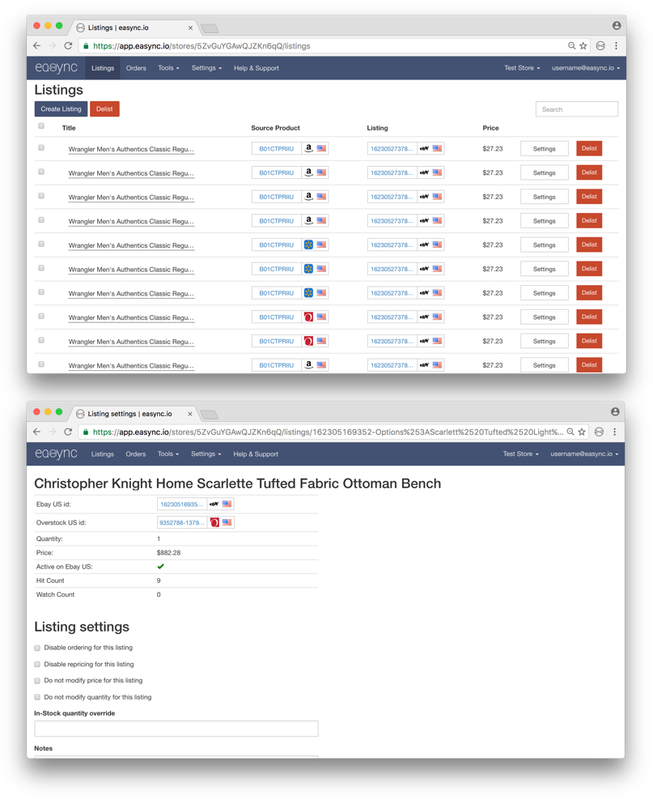 This provides analysis on listings that have never sold and list them in order based on 0 sales and 0 watchers. The lowest of these will be at the top for you to delist or adjust if they are not selling well. You can filter listings that have been newly created based on how many days you set. Example: exclude listings created within the last _ days. The whole history of changes on your listing. You can see the repricing tool in action based on the source market over time. 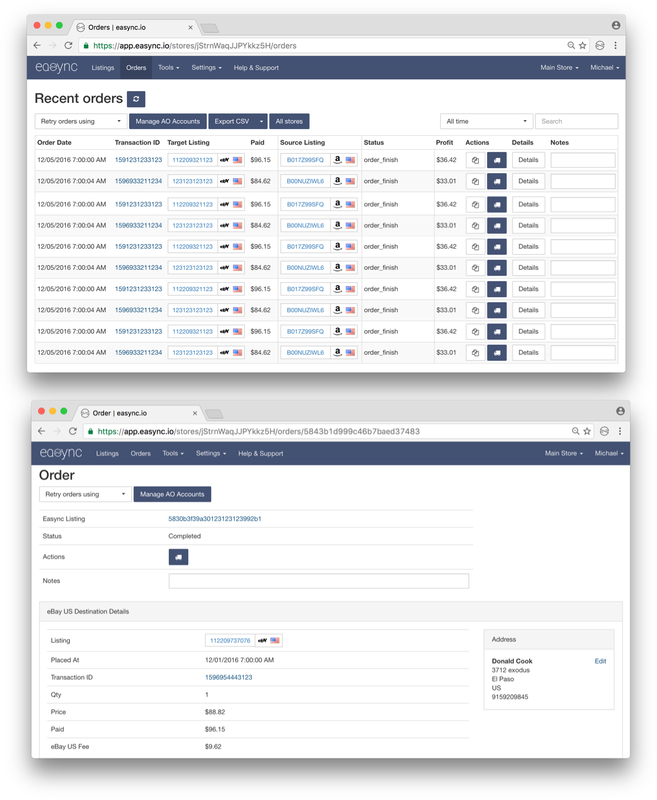 This tool finds all items in your eBay or Shopify store that do not currently have a source market attached to it on Easync will not be able to adjust prices, quantity or make orders on unknown listings. Live status of adding new products. Online editor. Super cool tool for the design of the store listing. You can see live how it will look on eBay. 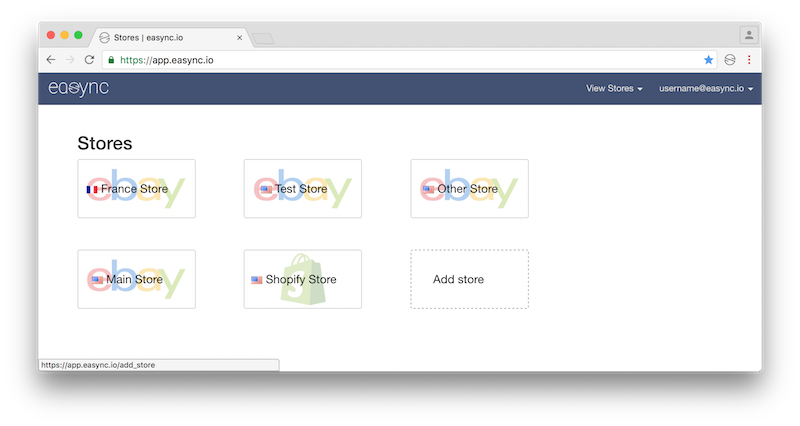 You can add a target market on app.easync.io such as eBay.com, eBay.co.uk, eBay.ca, eBay.fr or Shopify.com. You can take products from the Source Market (Amazon, Walmart, etc) and automatically add them to your Marketplace Store (eBay, Shopify, etc). You can add listings with a single click. We will take the offers from all of the sellers and choose the best price and shipping speed to give you the best profit. Auto ordering on Amazon. The applications received by eBay, Shopify, your personal website. Fine tune your settings for maximum benefit. Easy way to dropship products from Amazon, WalMart, Overstock, Aliexpress and more to Ebay and Shopify.